Modern Ballarat is known for its study and innovation of alternative energy sources. You will see wind turbines spotting the landscape in the shadow of two extinct volcanoes, but the city also uses geothermal energy and solar power, and it experiments with biomass energy production to provide power to its urban population of over 93,000. A Victorian boomtown in the late 1800s, Ballarat exploded with activity during the gold rush. In the downtown area, you'll see grand Victorian edifices housing Her Majesty's theater, an observatory, and museums, all situated near the Avenue of Honor constructed from 1917 to 1919. These historic structures hold their own next to modern architecture giving an old-meets-new vibe to the bustling city. Ballarat is in Victoria. 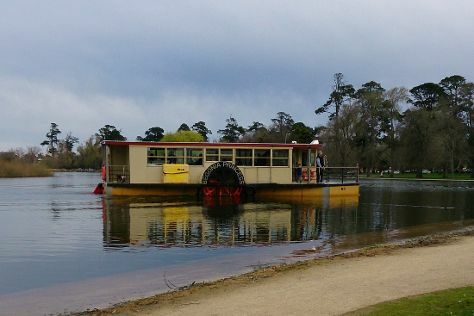 Our Australia itinerary app allows you to plan your trip to Ballarat and a wealth of other destinations big and small.